Beef Salpicao is a Spanish/Portuguese inspired Filipino dish. 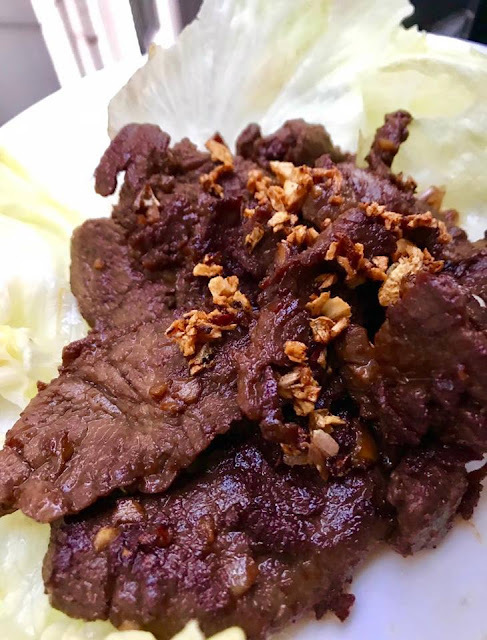 It is composed of beef tenderloin or sirloin cut into small pieces or strips, plenty of minced garlic, Worcestershire sauce, olive oil and liquid seasoning. Cut beef. Marinade in salt, pepper, paprika, garlic and olive oil. Let stand for few minutes. Heat pan. Put marinated beef and wait until water runs dry and beef become deep brown. Add oyster sauce. Stir for few minutes. Add butter. Stir for few minutes.